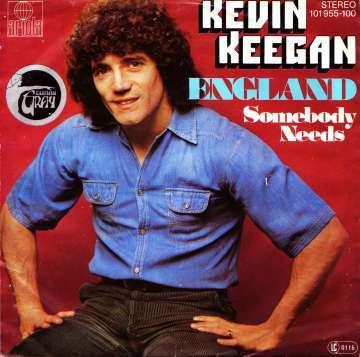 Were Keegan's "Entertainers" really the blueprint for Barcelona, Manchester City and Manchester United? | NUFC Blog. Well, actually, perhaps it is more similar than I thought after the Tevez affair. On Barcelona, their current attacking 4-3-3, and style goes back much further than the 1990s. It is well known that the club have had a long tradition of poaching brilliant and innovative attack minded coaches from the Netherlands, mostly Ajax, which started at the beginning of the seventies with the English ex Ajax coach, Vic Buckingham. Next was the man who helped to shape the attacking 4-3-3 formation as we see it today, as well as a concept of “total football” which allowed defenders to “bomb on” and attack as well as defend amongst other things, FIFA’s “Coach of the Century”, Rinus Michels. Barcelona’s current coach, Pep Guardiola, hardly needed Keegan for attacking inspiration, as he had Johan Cruyff to teach him how to play the kind the exciting, attacking “tiqui-taka” style he evolved at the club when Guardiola was the midfield anchor of Cruyff’s “Dream Team” of the ‘nineties. All of those managers, plus further Dutch imports such as Louis Van Gaal and Frank Rijkaard also won trophies with their attacking methods, something which Keegan never quite maneged on Tyneside or elsewhere. If anything, the ex Newcastle United manager who had most influence on the Barcelona we see today was undoubtedly Sir Bobby Robson. Besides winning rhree trophies there in a year, It was Robson who was manager there when Carles Rexach found a tiny young player from Argentina called Lionel Messi, who is doing a fairly respectable job in Barcelona’s attack nowadays. Finally, as for Manchester United, whilst a pragmatic Alex Ferguson has evolved their playing style somewhat over the yeats with an influx of players from all over the world, it still relies on patience and a solid defence, something which Keegan’s side never had. For those of you who still don’t know the score of the reunion match was Liverpool 4 – 1 Newcastle United. Posted on October 10, 2011	 by workyticket	in category: Alan Shearer and Bobby Robson and Club historical and Former players and Interviews and John Beresford and Kevin Keegan and Thoughts and reflections and Workyticket	, with tags: Kevin Keegan on the "Entertainers"
Kev, is Batty gonna score the next pen for england? If anything, kk’s team maybe inspired arsenal’s play since the 90’s, but certainly not barca’s. I find it ironic that we’re apparently following arsenal’s model of buying young lads & building a team etc. While they seem to be following ours of playing some beautiful football & winning nowt. Not in the last year mind. Keegan is talking rubbish, as usual. Well before he got his perm the real entertainers in England were the Mat Busby teams. They won the first division five times, FA cup twice, Charity Shield five times and of course the European Cup. Keegan cannot hide the facts (as Worky highlights about Ferguson) that he was a loser as a manager in that he never won any trophies. The supporters who really got entertained were from Manchester when our ‘unassailable’ lead of 12 points in January was thrown away by Keegan’s managerial ineptitude and by another manager who had and still relies on patience and a solid defence. Build from the back, defend from the front! It,s stretching things to claim Barcelona are imitating Keegan’s teams of the nineties, and i think the man is somewhat delusional,certainly as far as that claim goes. Not only are Barca an attacking side, but one of the best defensive sides in any league, with the forwards like terriers, who give the opposition no time on the ball, therefore forcing turnovers. An unusual style for a continental side, who usually have more time on the ball and are used to a slower pace of play. Actually a style more suited to the EPL. Not to say it’s based on the typical EPL sides, which vary in playing styles according to the quality of the sides, Arsenal vs. Stoke, for instance. Of course, it takes a certain quality of player to be able to successfully play this game, it requires a great deal of technical skill, plus natural ability. It also requires the ability to play a tactically complicated game, where the interchanging of positions and roles is paramount. You will not find two wingers with a six foot plus center forward, rather six men who play in front of the back four who in turn can bomb forward when the opportunity arises. Some refer it as total football, ticky tacky, etc. but this is the cutting edge in modern football and a great deal of credit should be given to Pep Guardiola. Though i have to say Fergie certainly got taught a lesson in the European final and a clever and adaptable tactician that he is, will learn and adapt i’m sure. Scottish teams back in the day were far more known for their passing game as apposed to the english hoof it style. But as worky points out, english coaches actually helped develop the ‘total football’ style many years ago. Mostly because they couldn’t get ahead in english football. barca do a lot of passing backwards to go forwards. It was an Englishman, Jim Hogan, who took what was then known as the “Scottish style” to the mainland of Europe Clint. It’s a shame for the Scots that he didn’t bring it back! Chuck, you’re old enough to remember players like Milburn and Robledo, so you must be old eneugh to remember Hungary’s “Golden Team” of the fifties? Sure, remember England’s first home defeat @ Wembley, actually more of a football lesson. The public could’nt believe it Hungary 6-1 England, was it in 1952 ? Strangely enough, though heavily favored they lost to West Germany in the world cup final. I recall it vividly as a schoolboy we were required to write an essay on the matter as to why it happened and what effects it may have had. (i believe but could be wrong)a number of years prior by an ex-pat Irishman or Brit. who could,nt get a job in the UK. Why Does that not surprised me ?, those were the days of Walter Winterbottom if my memory does’nt fail me. Where managers were picked for political reasons,rather than their knowledge of football and the side was selected by, who else but the selection committee. Brian Clough new that ! course he was still a player then a center forward. Of course the attitude of the time was, we invented the game and regardless of what happens, we are still the best. Kinda like during every world cup it comes as a surprise when England don’t win. Just jerking your chain ! Of course, many of the Hungarian side ended up defecting to the west, Puszcas (spelling) and another ending up at Real Madrid. Yeah, for some reason i remember 6-1, but i have been known to be wrong before and it’s a long time ago. And having just read the Jimmy Hogan story, yes i thought i had heard him described as an Irishman, well with a name like Hogan! So in fact, this guy could be considered the father of the modern game i suppose ? “A propht in his own country” so to speak. aye it’s going back a bit before my time. It was england’s first defeat on home soil. massive kick right about now. no mate, not england’s first defeat on home soil – that honour goes to scotland! It was england’s first home defeat by a non-British team. yeah ! They are probably more concerned that every player has a well fitted blazer and has the required knot in his tie. The FA along with EUAFA & FIFA, are organizations that need to come into the twentieth, not the twenty first century, that would be a stretch for them. Watching the Rugby World Cup and their adaption of modern methods, only tends to emphasize how rigid and conservative, not to mention stupid these organizations have become. The use of tv replays to either confirm or reject officials decisions, not to mention the sin bin as opposed to the ridicules card system, are all examples of how the game can be improved. Look i’m not for change for change’s sake, but there are improvements that could make for a better game. I know the arguments in regard to taking the human factor out of the game and understand the concern. But face it each week we are exposed to a manager who believes that human error was the reason his team lost and many of us having access to instant replays from various angles, tend to agree. Would it not in fact be better, having the technology available, to avoid these kind of decisions, instead, introduce it to decide certain questionable calls ? What year did scotland do that then? i’m with you all the way mate. Especially vid evidence & sin bin. A powerplay situation would stop the silly indiscretions of dissent, diving, cheating in general. Yea, 20th century would do for now like you say. if even cricket can move on, & that’s the epitome of conservative, then it tells you how out of touch these org’s have gotten. The question arises, in the early stages of football, the Scot’s were so superior in the international game, when in fact was the first win on home soil for England ? You even hear dumb crap like: “punters would have nothing to talk about down the pub” from dumb pundits with no argument. I bet that mashed up the wicket somewhat? Aye, most of the team were from Honved, which was an Army club under Communist rule. The footballers were footballers, though technically, they were also in the Army and given ranks too. The Honved players agreed with the revolution, but as they were members of the Army technically, they may have been asked to turn on their own people when they got back, so they defected and got their families out before the crackdown. Puskas’ nickname was “The Galloping Major” as he was actually given that rank, and there was also a popular film with that title in the early fifties (1951 I think?). I forgot to mention earlier that in the game after that 6-3 defeat, the English tried to get revenge on the Magyars in another game, and were slaughtered 7-1! Most clubs named ‘Dynamo’ were/are army teams, as my Ukrainian friends told me. “An unusual style for a continental side, who usually have more time on the ball and are used to a slower pace of play. I keep telling ye man! Barcelona are the best team in the Netherlands. Their tradition is the “Clockwork Orange” tradition. Very high technical skills and control combined with pace and a high level of tactical innovation. Your description is a description of the methodology of Michels, Cruyff, and now Guardiola. He was the only player to have played 84 times for his country while scoring a world record 83 goals! No player, not even Pelé, has scored that many goals for a national team. or 84 in 85 ? & he was built like Micky Quinn. “Honved” or “Honvedseg” means “Defence Force” or something like that. MTK Budapest were the Secret Police team in the Commie days. I wouldn’t like to have beaten those bastadz! I bet they ‘won’ everything! Is this game being shown on TV? Which game Phisix? The Entertainers reunion or the ‘Spurs game? The ‘Spurs game is on Sky, divven’t knaa about the Entertainers one. The entertainers one I meant. Would be nice to see our old team play live and not via crappy highlights. Don’t know about that one Phisix. It’s terrible to see what can happen to men in 15 years, especially when we try to run around a football pitch! We also got hammered 4-1 and Shearer missed a penalty too.